Everyone has played Pac Man at least once in their lives. Pac Man is 30 years old this year, and as part of the celebrations (did you play on the Google Doodle? The Moleskine website says they’re available from their Asian website, but thankfully good old Amazon has them listed. 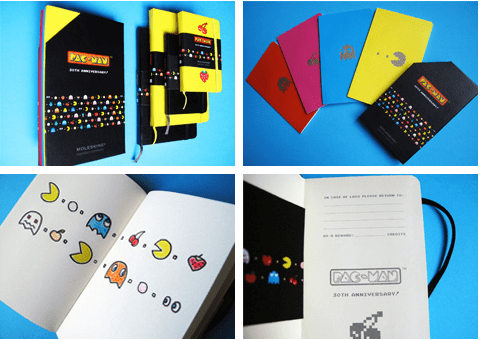 I love the little 4 “Volant” notebook’s in a gift set (which are the top pictures of the thin coloured note books) and since my normal Moleskine is the black ruled book, the black pocket sized ruled notebook with Pac Man on the front is perfect!